Whether you are suffering from back problems ranging from herniated disc problems or suffer from any conditions sciatica, or spinal stenosis, it is a horrible feeling to live in constant pain all the time. However, sleeping incorrectly can also put strain on your back. Fortunately, you can experience a significant difference in your pain levels and quality of sleep by using a body pillow. 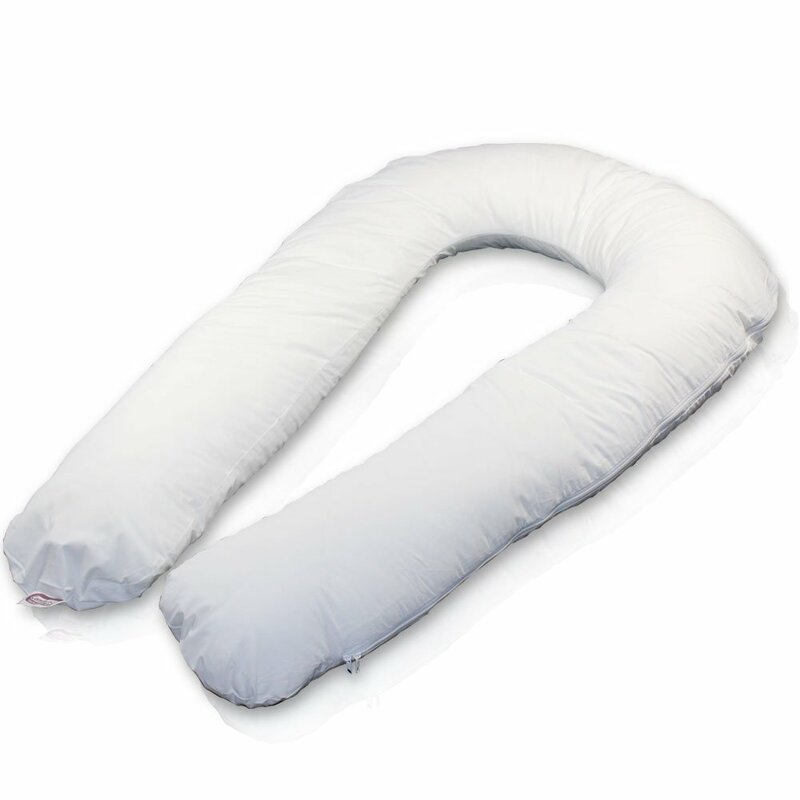 These pillows can help align your spine and alleviate muscle and joint pressure. To gather some clarity regarding which body pillow you should try, some choices have been outlined below. Click HERE to find the best price for the Comfort-U Body Pillow. Leachco All Nighter is crafted to look like a candy cane instead of a U and is incredibly comfortable. It is also recommended for neck, back, and shoulder pain, fibromyalgia, swelling, and even carpal tunnel syndrome. Its shape allows you to experience a cradling effect without the extra girth that the Comfort-U sports. Click HERE to find the best prices for the Leachco All Nighter. The Tempur-Pedic Body Pillow is expensive, but is worth every penny. It is designed in the traditional body pillow shape, meaning no extra bulk. It is also made of signature TEMPUR micro cushions crafted from high quality memory foam that conforms to your body shape. It provides great stability for those suffering from back pain. Click HERE to find the best prices for the Tempur-Pedic Body Pillow. Budget shoppers should consider the Embrace Memory Foam Body Pillow from Sleep Innovation. 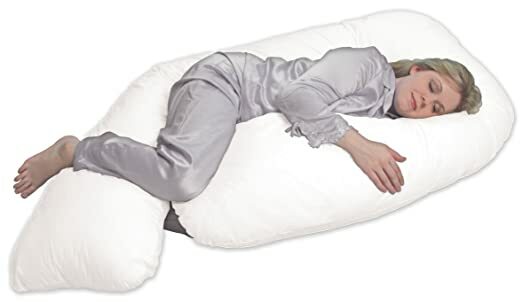 At a loq price on Amazon.com , this pillow is a cheaper alternative versus the Temper-Pedic. It uses two types of memory foam, the first being SureTemp memory foam clusters and the second being memory foam gel. 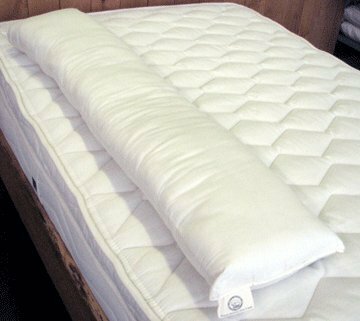 Both types of memory foam utilize open cell technology, which provides a cooling effect in addition to back support. Click HERE to find the best prices for the Embrace Memory Foam Body Pillow. For customers who are green conscious, the Holy Lamb Organic Body Pillow is for you. Like the Embrace and Temur-Pedic, this body pillow sports a classic design made entirely of organic materials. The filling is Premium Eco-Wool® sourced in the U.S. and even the cover is sateen fabric made of organic cotton. The wool filling offers superior support and is surprisingly breathable as well as hypoallergenic. At a decent price on Amazon.com , it is worth the price if you embrace an organic lifestyle. Click HERE to find the best prices for the Holy Lamb Organic Body Pillow. Tried All Of These Pillows? Having Pain while at work? If you have been down this road before, but found that pillows were not enough to ease your back pain, you could always consider functional disc rehydration therapy to ease the pain. This is a specialized process that can take pressure off of your vertebral discs in a way that allows both oxygen and nutrients to enter directly into each disc’s nucleus. This process, combined with techniques to reintegrate and reactivate the muscles through strengthening the spine can help to heal you in a way that other treatments cannot. 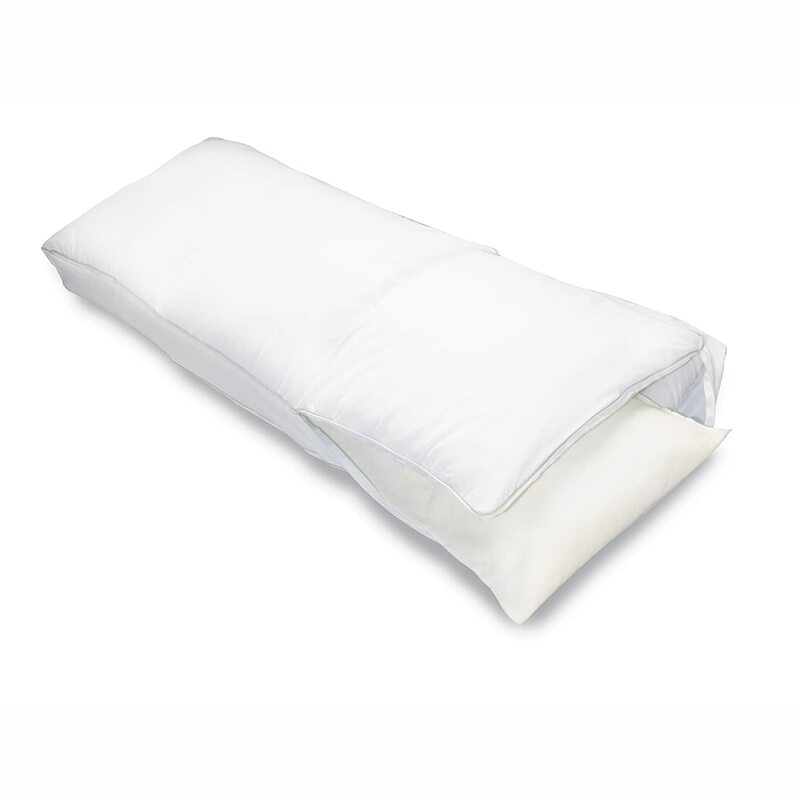 What kind of pillows have you tried to relieve your back pain in the past? The Illinois Back Institute shows uncanny experience with treating all kinds including stenosis, sciatica, herniated, and bulging discs. To gather more information regarding what pillows you should use or special treatments you should try, contact Illinois Back Institute today.